We offer private, semi private and small group lessons in our rowing studio, as well on the water in beautiful Marina Del Rey, CA! You can also find us on Skype for lessons and consultations in case you live outside of Los Angeles. And for the those who love traveling abroad, we offer rowing tours in unique destinations around the world, always an unforgettable experience! Unique vacations around the world for travelers who love rowing, wellness and exploration. *Lessons are non-refundable, but they are transferable! Expiration date is one year from the purchase. On the water lessons for iROW Fitness Studio take place in Marina Del Rey, CA. We meet at Marina Beach, aka Mother’s Beach, located at 14110 Palawan Way, Marina del Rey, 90292. We offer private lessons for people of all skill levels, including complete beginners, in our beginner-friendly single scull. In addition, rowers with their own boats or access to club boats can hire our coaches for private, semi-private, or group lessons. We offer 2 types of private lessons on the water. In one, the coach is instructing from a motor boat and the rower is in a single scull. In the other, the coach is in a double scull with the rower. If you are a new rower we will get you started by setting up a private lesson with a one of our amazing coaches in a double scull. As you continue to make progress you can opt to take lessons in a single scull instead. Experienced rowers can choose what type of lesson they prefer (in a single or in a double with a coach). Many of our clients alternate between both. If you are a rower with your own boat or access to a boat, we will discuss meeting for your session on the water. Beginner rowers need to take a minimum of 3 private lessons prior to combining with another rower to share lessons in a double. Experienced rowers can share lessons in a double scull (their own or club), as well as in our double boat. Experienced rowers can book a lesson in a quad (sculling boat for 4 people). 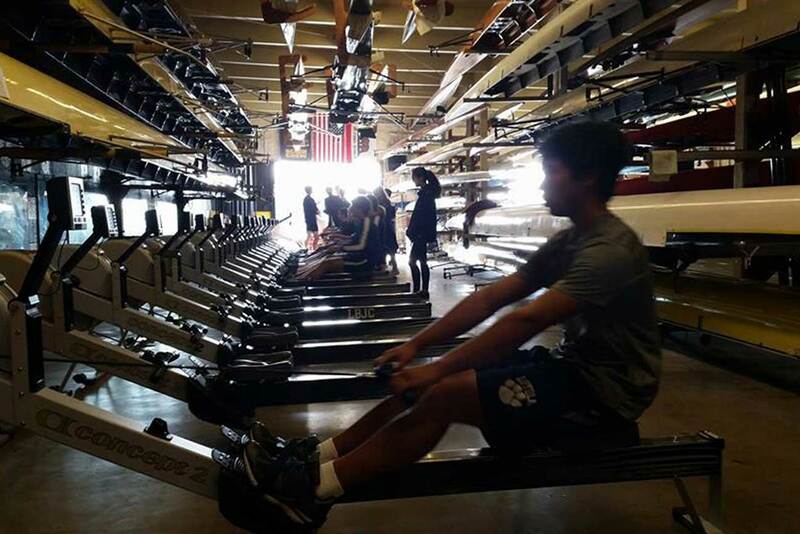 In addition, we provide coaching for rowers who use their own or club boats (fours and eights). iROW Fitness Studio is located at 3560 S. La Cienega Blvd, Suite K, Los Angeles, CA 90016. We are on the East side of La Cienega Blvd right across from Target. Look for a 2 story plaza, also home of Subway and State Farm Insurance. iROW Fitness Studio is on the second floor.